BERLIN, July 12, 2010 (AFP) - Salty soothsayer Paul, the "psychic" octopus, finished the World Cup with with a flawless record as Spain's 1-0 win over the Netherlands in Sunday's final leaves him with eight perfect predictions. The eight-legged oracle has become a World Cup sensation by correctly forecasting all seven Germany games in South Africa and he finished the tournament in style by predicting a Spanish victory in Sunday's final. As Paul foretold last week, Spain won their first World Cup title after Andres Iniesta's 116th-minute strike at Soccer City broke Holland's hearts. 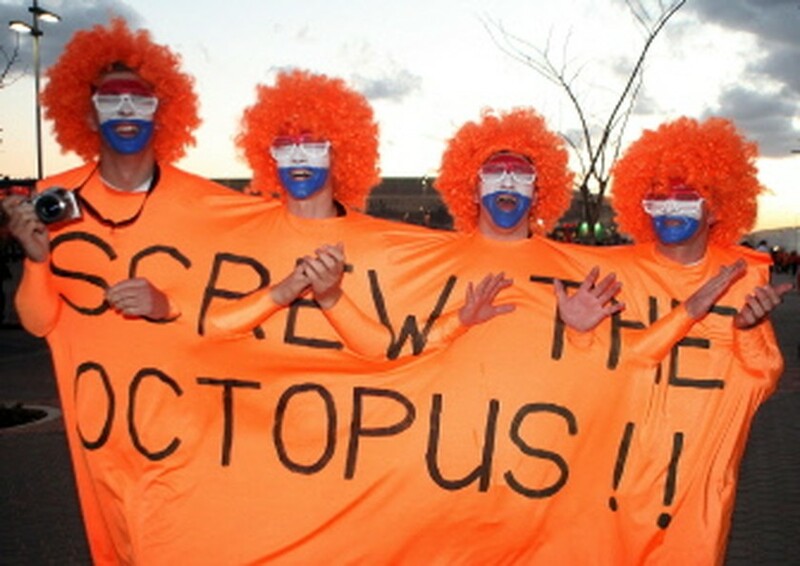 The tentacled tipster also correctly predicted Germany would beat Uruguay in Saturday's third place play-off. In the now familiar routine, two boxes were lowered into his tank last week, each containing a mussel and the flags of the two opposing teams. Paul went straight to the correct box both times, wrenched open the lid and gobbled the tasty morsel. But the art of football predicting has become a dangerous job for the English-born clairvoyant. He fell offside with bitter German fans who threatened to turn him into sushi after he predicted a semi-final defeat for the Mannschaft against Spain. Paul's home, an aquarium in western Germany, has received death-threat emails saying "we want Paul for the pan," said entertainment supervisor Daniel Fey. The honour of Paul's mother was called into question, according to witnesses.